APLUS is professional manufacture air nailer, electric nailer in Taiwan. Taiwan Office : No.579, Sec.1, Shen Lin Rd., Taya, Taichung 428, Taiwan, R.O.C. APLUS Pneumatic Corp. was founded in 1990, and with over 20 years of whole-hearted dedication in pneumatic fastening systems, APLUS has built up a remarkable lead in pneumatic tool industry. 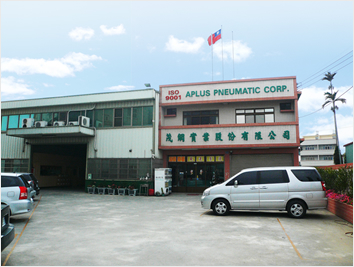 Not only is APLUS a manufacturer, but also an exporter of Pneumatic Nailers, Staplers, and Accessories in Taiwan. Moreover, APLUS is also experienced & skilled at ODM, OEM projects, because we have many experiences in doing OEM projects with many massive nailer plants all over the world. In order to meet our customers' requirements to their satisfaction, APLUS always values the significance of quality control as our priority. Conesquently, APLUS has received CE certification for Pneumatic Nailers in 1995 and CE, GS (TUV), UL certification for electric nailers in 2002. APLUS also attained SGS ISO9001 certification in November 1998. By now dozens of APLUS' products have received over 40 patents registered by USA, UK, Germany, Taiwan, China, and Korea authorities. Our vision is to bring convenience and solutions to every customer in their daily life. And this is the goal that APLUS is always striving toward.